The Weekend Aesthetic is a new feature where I post book aesthetics every weekend. They might be of a book I’m currently reading or recently read or read a long time ago or one I consider to be a favorite of mine—there’s no rhyme or reason to it! For now I just want to keep it simple and feature all different kinds of books (but there might be themes in the future). 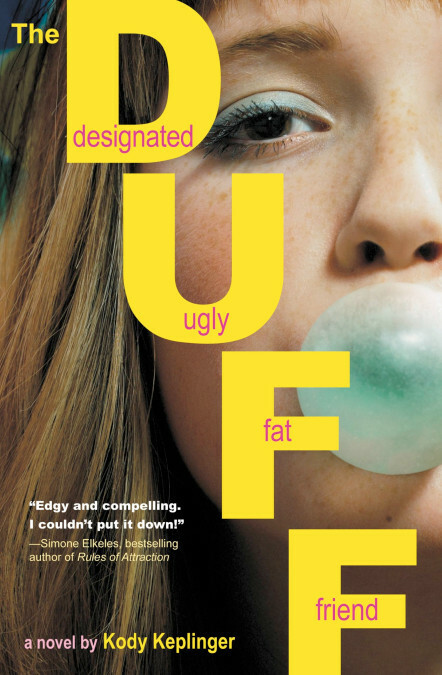 This weekend I’m featuring an older book, The DUFF! I actually just reread this novel this past week after I realized I’ve seen the movie more times than I’ve read the book (read my Book vs. Movie post). The book and the movie actually differ in some very major ways while still keeping the main message intact. I really enjoyed rereading the book, which led me to also pick up Lying Out Loud, a companion novel to The Duff! Have you read The Duff and/or seen the movie adaptation? I read the Duff and saw the movie, and they were really different from each other. The movie was a teen comedy that utilized the idea of the Duff and that’s about it. I did enjoy them both though. I definitely agree that they’re very different from one another but I think the differences fit the story well for their storytelling medium—more serious via the book and more rom-comy for the movie. The movie is definitely different from the book, which is more serious but I hope you enjoy the book just as much!